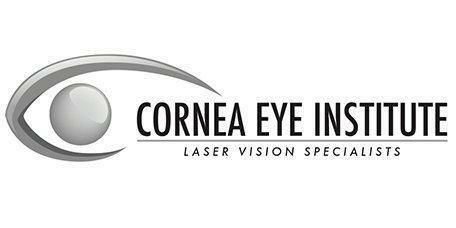 The ophthalmologists at Cornea Eye Institute, are laser vision specialists providing patients with the very latest treatments for myopia, astigmatism, cataracts and Keratoconus from their comfortable and innovative offices in Los Angeles, Beverly Hills, Santa Clarita and the Antelope Valley regions. Cornea Eye Institute welcomes new patients and accepts most major forms of insurance. Contact the offices today for more information. Cornea Eye Institute is proud to always be the first to offer the very best technology to serve our LASIK, cataract and Keratoconus patients in the Beverly Hills and Los Angeles areas. For LASIK we have two of the very best and up to date vFDA approved excimer lasers. The VISX Star S4 with Wavescan and the Allegretto 500 for customized wavefront guided and wavefront optimized treatment. For laser cataract surgery we have the LenSx femtosecond laser and for corneal transplants we were one of the first in the country to use the Intralase laser. For patients with keratoconus, we have been offering collagen crosslinking for the past 5 years and have treated 500 patients to date. Our director Yaron S. Rabinowitz M.D. is a graduate of USC and Johns Hopkins University where he completed fellowship training in the cornea and refractive eye surgery. He is Director of Eye Research at Cedars-Sinai Medical Center and a Clinical Professor of Ophthalmology at UCLA. If you're tired of relying on glasses or contact lenses to see clearly and perform basic tasks, consider laser eye surgery at our LASIK Los Angeles practice, also serving Beverly Hills and all surrounding areas. Please contact us today to schedule a complimentary consultation and start your journey to clearer, crisper vision. We look forward to working with you! We provide consultations for Vision Correction, Cornea, Keratoconus, and Cataracts in Los Angeles, Santa Clarita, Lancaster and Orange County. "Love love love Dr Rabinowitz. Without him I would be blind..."
"I am extremely grateful for the treatment from Dr. Rabinowitz and his expertise. .."
"Dr. Rabinowitz is, without question, the absolute best! " At the Cornea Eye Institute we offer the best specialized eye care in the Los Angeles area. Our team of top-level cornea and laser vision correction specialists proudly serves their patients with compassionate, and expert eye care. Whether you’re exploring laser refractive surgery to minimize reliance on glasses or contact lenses, or dealing with cataracts, dry eyes, or any corneal condition, the Cornea Eye Institute can provide treatment with the latest technology helping you achieve the quality of vision you long for. Our experienced providers have improved the lives of thousands of patients throughout the years and strive to provide state of the art care without losing the personal touch in their interactions with patients. Contact us today to schedule a consultation. We are dedicated to helping you achieve the quality of vision that you deserve! "This website was designed to provide the latest information about treatment and research for patients with keratoconus. For 25 years I have dedicated much of my professional life to studying keratoconus and treating patients in the hope that those with keratoconus may benefit from my extensive clinical experience." "Dr. Rabinowitz and his staff have always gone the extra mile to be helpful, personable, and professional." "Dr. Rabinowitz did laser surgery on me over 10 years ago and my vision is still 20/15. Eagle eyes..."
"Dr. Rabinowitz saved my eyesight in my right eye!"